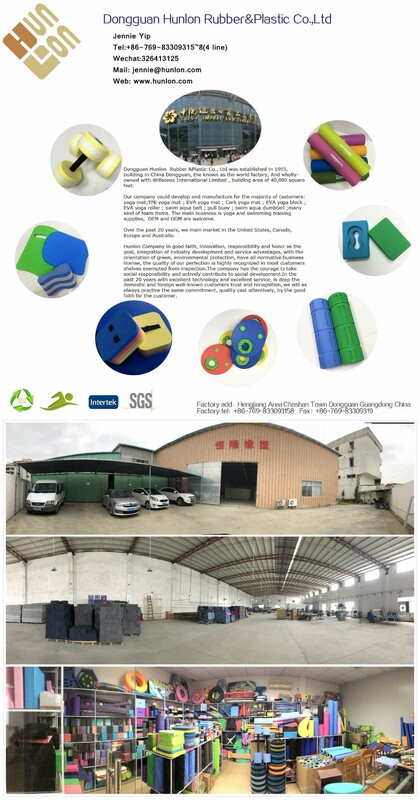 Styrene-Ethylene-Butylene-Styrene Block Copolymer(SEBS), The closed - hole foaming process is adopted, Thermoplastic embossing technology, non-toxic and chlorine-free, pass Rohs, ASTM(CA65)environmental protection standard. 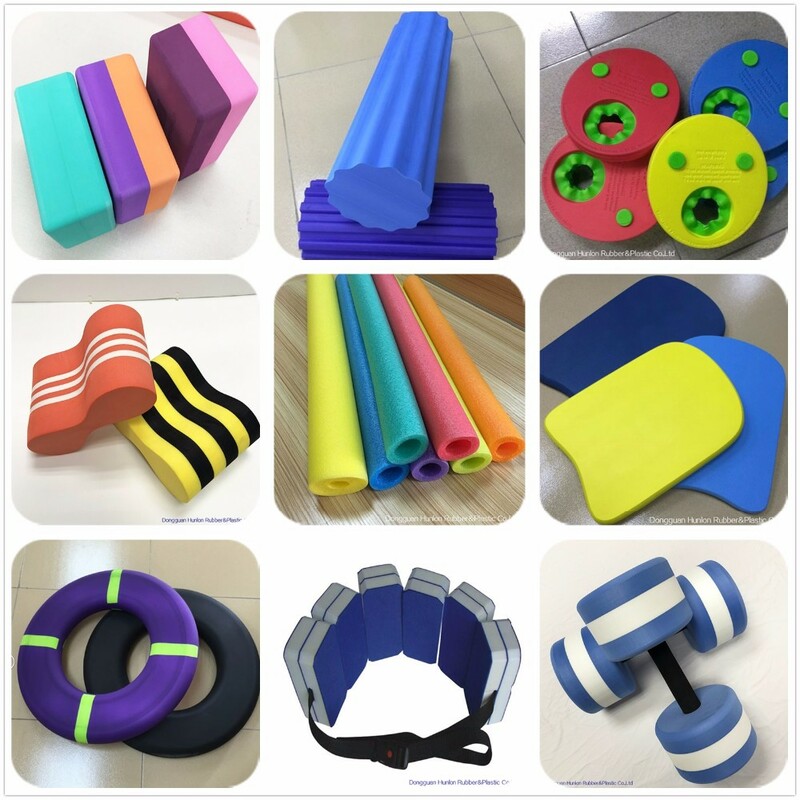 Can be use in -30ºC~90ºC, light weight material (around120KG/m³), Superior-grip in wet and dry, high elasticity and resilience. Water-repellent and Cold-resistant. Recyclable and reusable to avoid environmental pollution and reduce junk. Photodegradable. 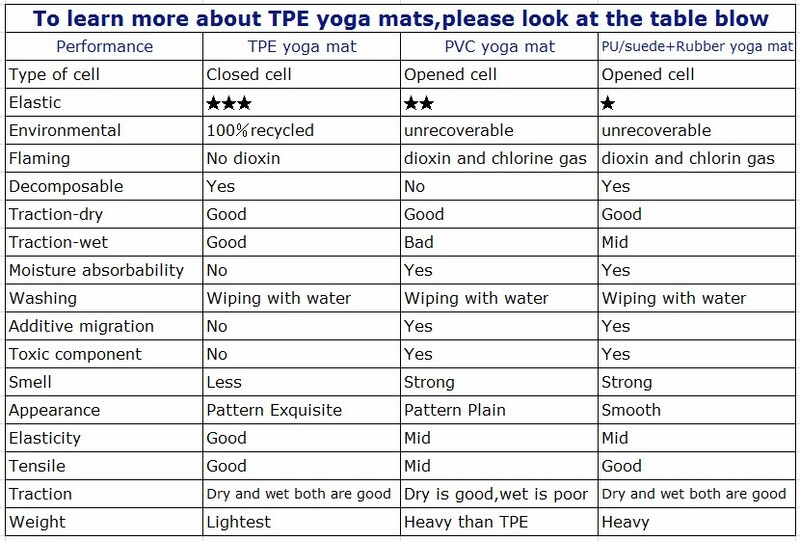 Why Choose Our TPE Yoga Mat? 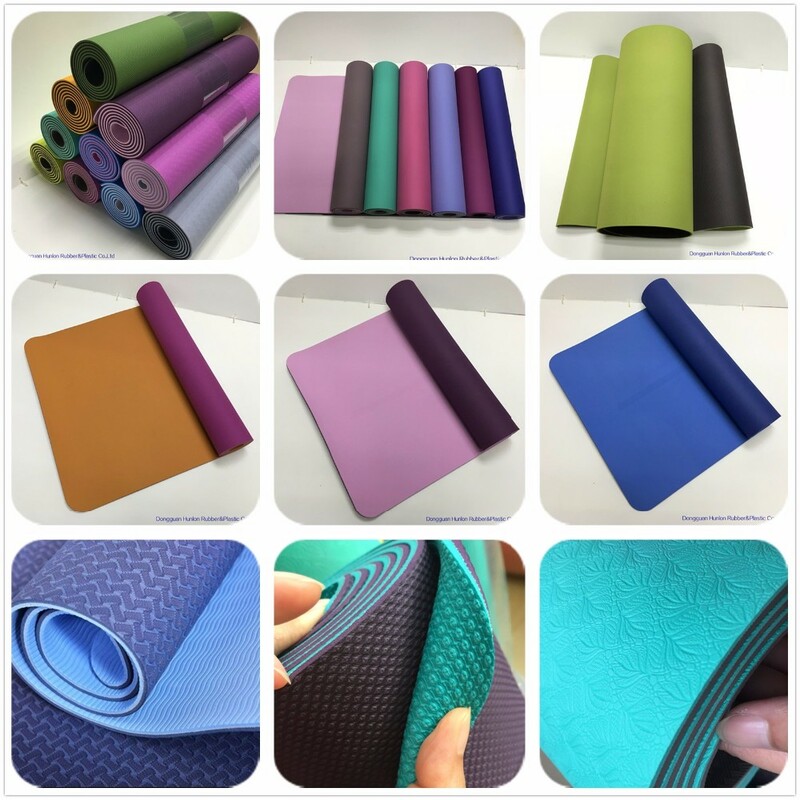 PROFESSIONAL: Professional yoga mat with high-density, great supporting and quick spring-back is suitable for various yoga movements. 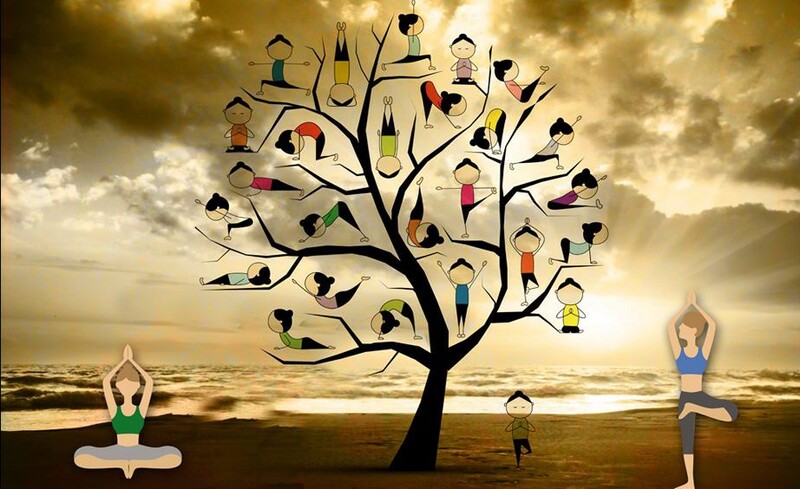 Offers the most comfortable experience of excellent cushioning for all level Yogis. 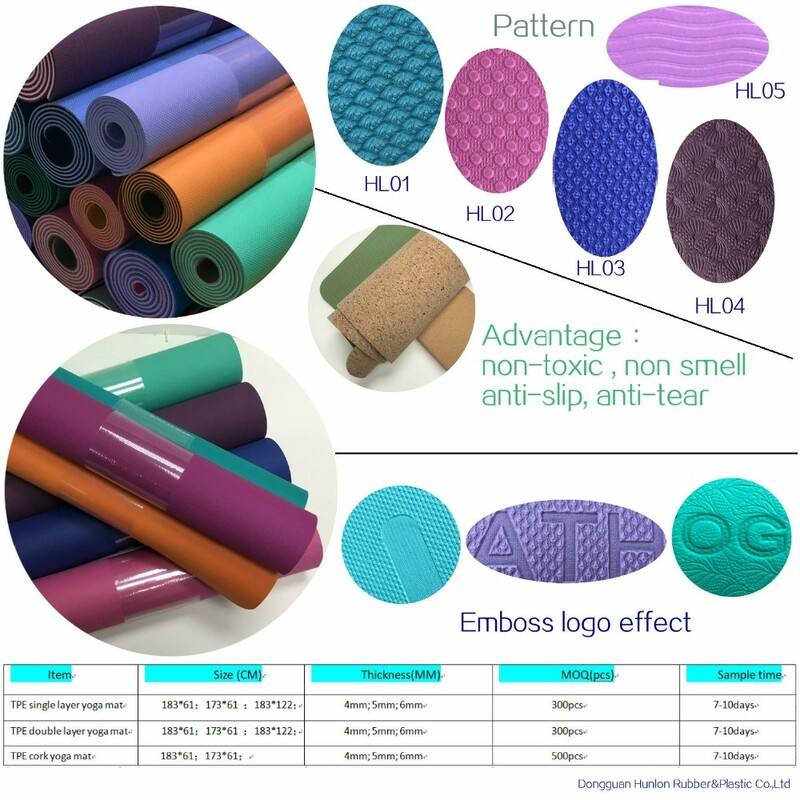 NO-SMELL: Environment-friendly TPE material which is nontoxic, recyclable, photodegradable and moisture-proof would be a safe use for women, children and adults. 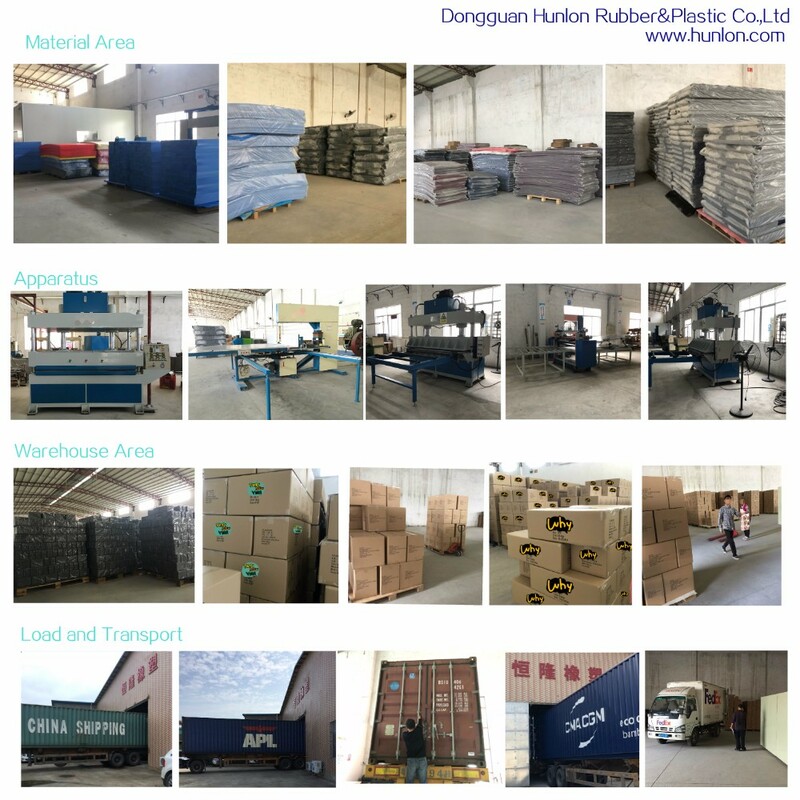 This TPE mat is free of the Phthalates DEHP, DBP, BBP, DINP, DIDP and DNOP. 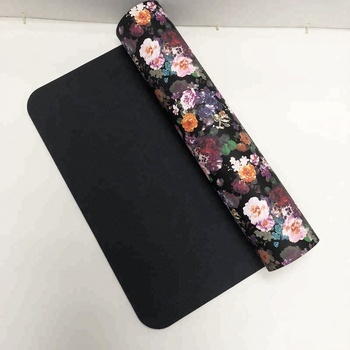 NON-SLIP: Two-sided anti-slip design makes the mat grip ground more firmly and unmovable to make sure you are in a more balanced and safer way while doing Yoga or Pilates. Non slip on wood floor, tile floor, cement floor. Easy-To-Clean: You can clean the yoga mat with soapy water and pat dry with a towel after use.